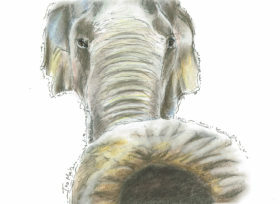 Illustrations with ink, pastel and watercolour reflect my work with conservation charities in promoting their good cause, raising both awareness and funds. 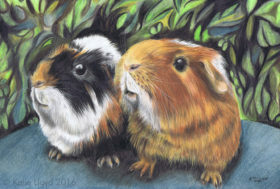 Pets and wildlife have been the main focus of my commissioned artwork but I have also produced pencil portraits of children and watercolour paintings of landscapes on several occasions. If you have something specific or different in mind, please don’t hesitate to get in touch – I’m happy to discuss. 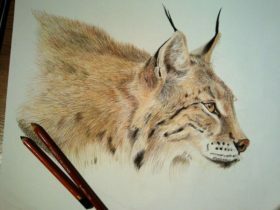 This collection of wildlife portraits is inspired by my conservation work on single species surveys and research projects. Portraits are created using graphite, colour pencil or oil colours. Behind each picture is a story. Almost with you… Come back very soon!